The European Commission has demanded that the Maltese authorities step up supervision of banks in its jurisdiction through a formal opinion delivered on Thursday. In a statement, the Commission said it had adopted an opinion requiring the Financial Intelligence Analysis Unit (FIAU) to continue taking additional measures to fully comply with its obligations under the fourth anti-money laundering directive. Thursday's opinion builds upon earlier findings by the European Banking Authority, which in July ruled that the FIAU had breached EU rules in its 2016 supervision of Pilatus Bank. The bank’s licence was formally withdrawn by the ECB this week. In a statement, the FIAU said it welcomed the fact that the Commission had acknowledged the positive results already achieved and the noticeable progress made to-date. 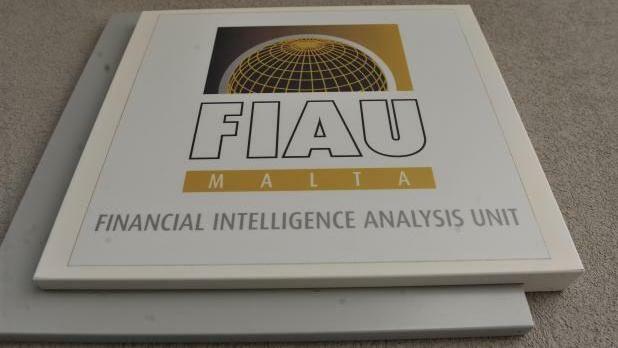 FIAU director Kenneth Farrugia said the unit remained deeply committed to ensuring that Malta’s financial and other sectors remained protected from the growing threats of money laundering. including the enhancement of its resources and the adoption of new technology tools, to render it more efficient in its supervisory functions. “We are committed to continue constructively working with the European Commission and EBA in addressing the new challenges that are being faced, not only by Malta but by the European Union as a whole,” Mr Farrugia said. The European Commission said in its formal opinion that it required the FIAU to take additional measures to fully comply with its obligations under the directive, so as to effectively supervise financial institutions in Malta. Such supervision should include an effective sanctioning regime, the Commission said. European Commission vice-president Frans Timmermans said every member state must uphold EU money-laundering rules in full. “We remain vigilant and ready to act so that any breach is swiftly remedied and that better supervisory practice ensures it does not happen again,” Mr Timmermans said. Justice Commissioner Věra Jourová said Europe’s strong anti-money laundering rules had to be enforced with the same high standards across the EU, to avoid creating any weak link. “Malta and other countries must have well equipped authorities and fully implemented rules in place. The Commission will use all its powers, including infringement procedures, to close any loopholes in the fight against money laundering,” Ms Jourová said. The FIAU has 10 working days upon receipt of the opinion to inform the Commission and the EBA of the measures it intended to take to comply with their obligations. This opinion comes several weeks after the MFSA issued a series of directives against Satabank, which saw the freezing of all client accounts. The directives came after a joint MFSA-FIAU inspection of the bank found several weaknesses in its anti-money laundering controls. The Nationalist Party said the Commission's report showed that it was not the Opposition but the Labour government which was damaging the reputation of the financial services sector. "This report casts shame on Malta and a jurisdiction of this quality deserves better," it said, noting that this was just one other development in a long list which includes criticism from credit rating agencies, the European Banking Authority, the revocation of Pilatus' licence, and the 'whole Satabank saga'.